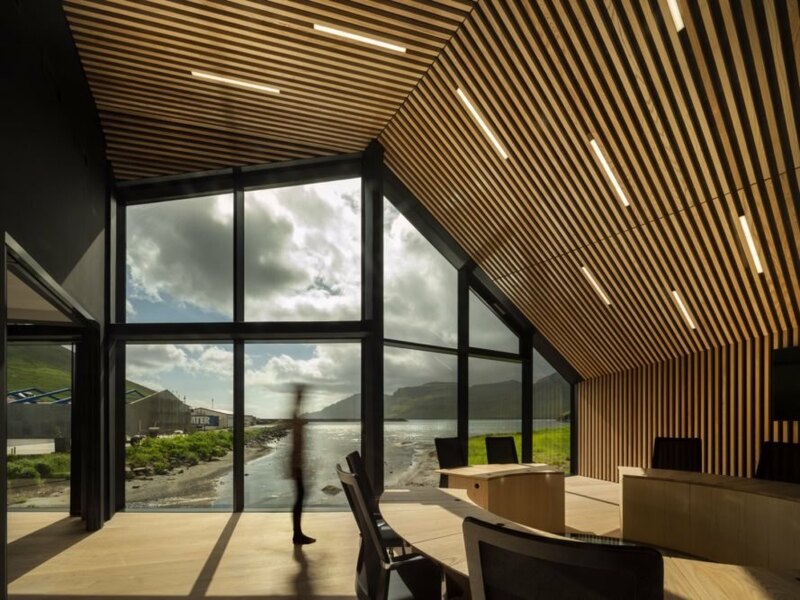 When Copenhagen-based Henning Larsen Architects was tapped to design the Town Hall in Eysturkommuna, the firm knew that there would be no point in trying to compete with the sublime Faroe Islands setting. 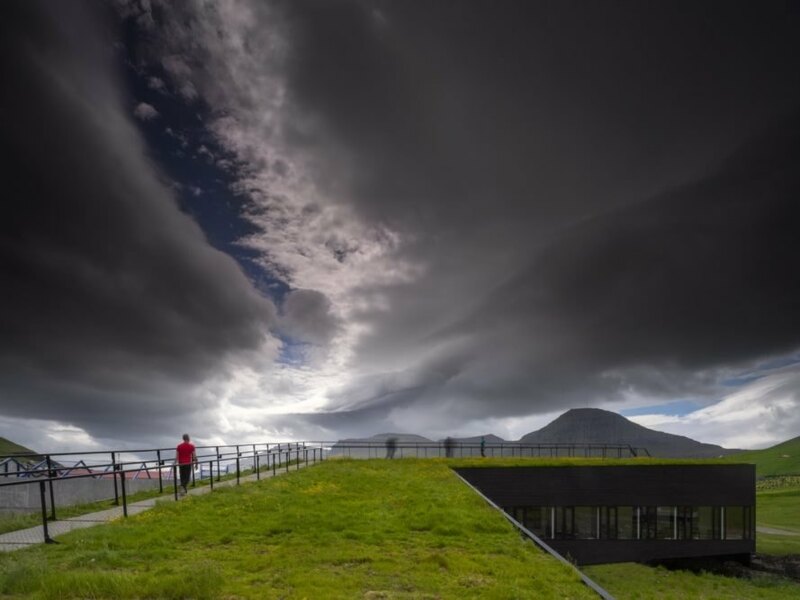 Sculpted by wind and volcanic forces, the lush Nordic landscape instead provided inspiration for the building, which doubles as a bridge over a river and appears as a green-roofed extension of its surroundings. 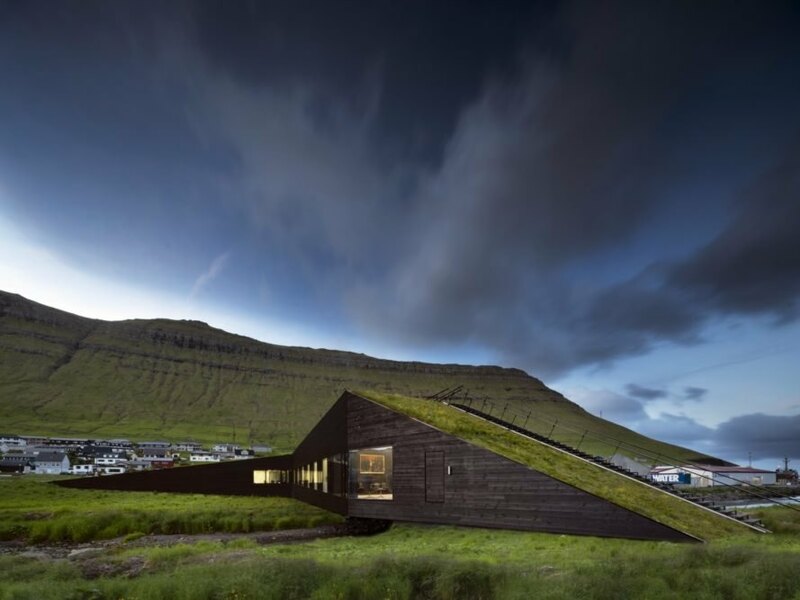 Blurring the line between nature and building, the Town Hall pays homage to traditional Faroese architecture with a new contemporary twist. 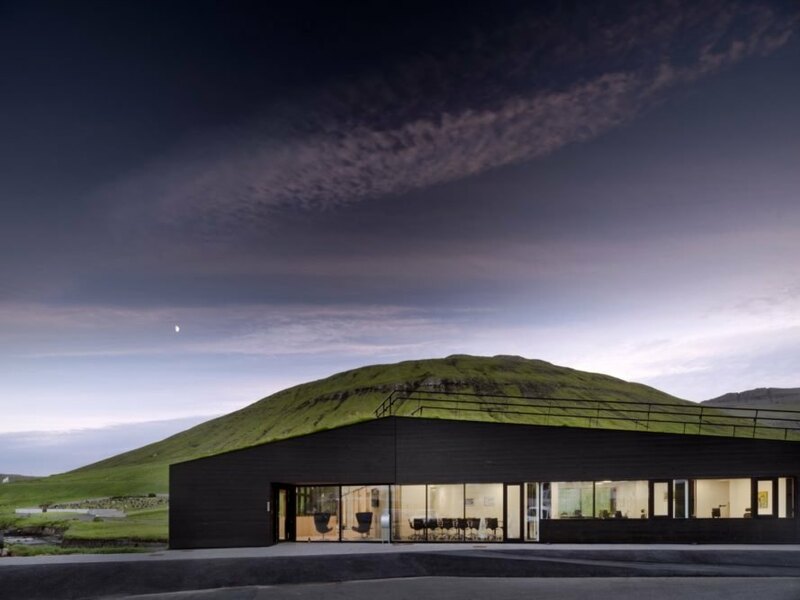 Located in the village of Norðragøta, the Town Hall in Eysturkommuna is a subtle addition to the lush landscape that was created to help revive the local community. 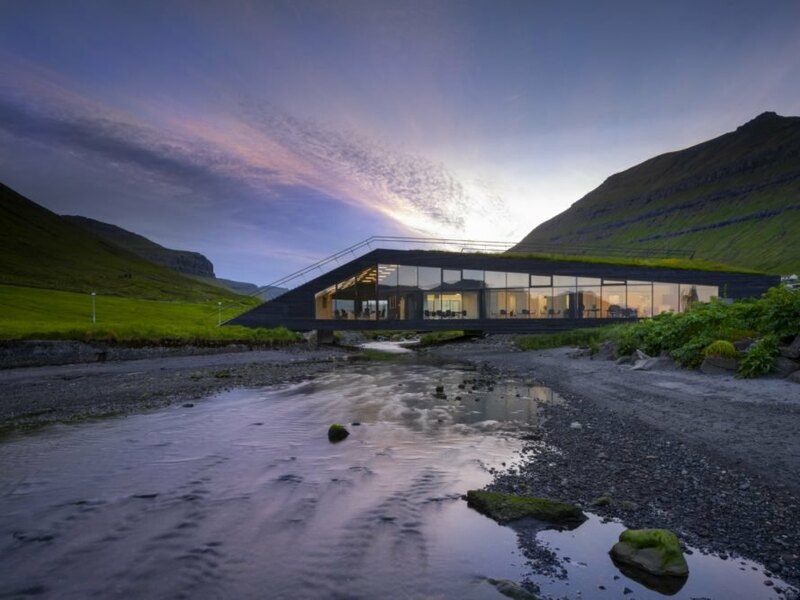 With an area of 750 square meters, the building is remarkably small for a town hall, yet what the structure lacks in size it makes up for in dramatic views. Doubling as a bridge, the angular building unites what used to be two separated municipalities and is partly wrapped in full-height glazing to frame stunning vistas of mountains and water. A circular mirror-lined glazed opening was also inserted into the floor to allow views of the rushing river below. The relatively small town hall doubles as a bridge and connects two previously separated municipalities. Full-height glazing lets in plenty of light and views. The public is invited to use the green roof for picnics. The town hall also has a glazed cutout on the floor to frame views of the river. The town hall draws inspiration from the local vernacular and adds a modern twist. The building appears to float between a blanket of grass and the river. Modern Nordic furnishings were used in the town hall. The interior is lined in timber.